← Can Scent Attractants Be Considered Bait? 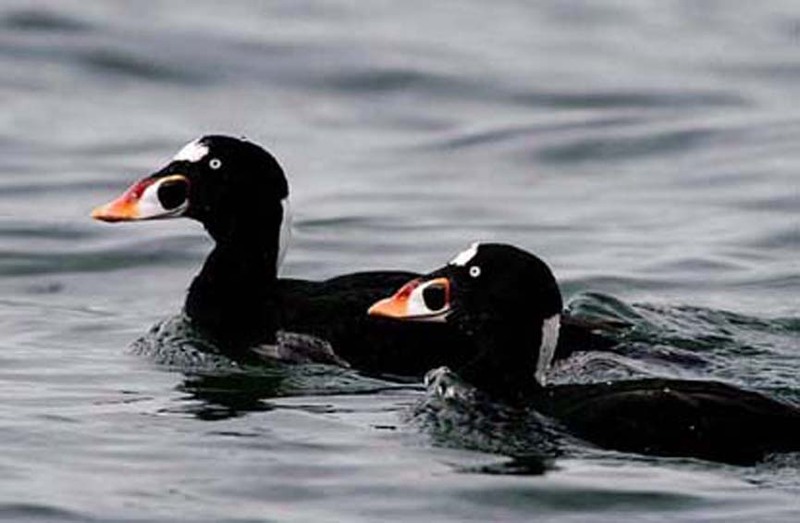 Answer: Surf scoters and other sea ducks are found along the entire coast but hunting for them is more popular north of the Golden Gate Bridge in northern California (such as Humboldt Bay) and in Oregon and Washington. According to Department of Fish and Game (DFG) Northern California District Chief Mike Carion, hunting from shore is legal provided that the shoreline is not private (unless you have permission to be there). It also must not be in an area covered by one of the numerous ecological reserves, marine reserves, state parks, etc. along the California coast (see Fish and Game Code, section 2016, for the parameters). The best thing for you to do is select an area you’re interested in hunting and then contact some local hunting clubs or stores for specific tips and recommendations. Be sure the area allows for discharging of firearms and that you will not be hunting on private property or in one of the parks or reserves that do not allow for hunting. As far as hunting from a boat, you may not hunt or kill birds while “under power”. In order to legally hunt from a boat, the boat may not be moving due to the influence of the motor. In general, hunting from navigable waters is legal, as long as the person stays in the boat. Exceptions to this would be the same as legal closures I listed that cover shoreline hunting. Fishing with a floating device? Answer: It is not legal to use hook and line gear constructed of a hook(s) or lure(s) attached to one end of a line that is attached to a float or floats at the other end, and that when fished, is not attached directly to a person or vessel. A line and hook attached to a person, vessel, dock, shore, etc. is fine. But if the line and hook is attached to a float without being attached to any person, dock, vessel, shore etc., that is considered to be “mousetrap gear” and prohibited to use (California Code of Regulations Title 14, section 28.65(f)). Answer: Electronic callers are prohibited for any game animal, including bears which are considered big game (Fish and Game Code section 3012). Electronic callers are allowed for only four non-game species, and these include coyote, bobcat, crows and starlings (CCR Title 14, section 475(b)). Rounds in the magazine and rattling deer? Answer: As long as the rifle you’re using meets the specifications for method of take in the regulations, and the magazine you’re using is legal for the public to possess and is not modified to carry larger loads, then it is legal to use with the capacity available. Shed antlers are not prohibited to possess and may be used to “rattle” deer. This entry was posted in Big Game, Deer Hunting, Firearms/Ammunition, Methods Of Take, Methods Of Take, Regulations, Waterfowl and tagged ammunition, bears, big game hunting, Deer, deer hunting, Duck Hunting, firearms, fishing, freshwater fishing, ocean fishing. Bookmark the permalink.